It's tempting to put the business of your small medical practice on the back burner to concentration on patient care. While patient care should always be the first priority of medical staff, you can't ignore key performance indicators that tell you how your practice is faring in financial and regulatory waters. As a medical professional, you know insurance companies are going to deduct from the amount you bill to pay what they deem is usual and customary for the service. By comparing the total collected against the total billed, you can determine how much that deduction is on average. That allows you to track your daily, weekly, and monthly services to ensure you're on track to cover expenses. Days in AR is the average number of days it takes for your office to be paid for services. This measurement is also known as Accounts Receivable Days. A low AR days measurement means cash flow is regular—if your AR days start trending up, it could mean you'll see a drop in cash flow in the near future. Electronic claims software can help reduce AR days. Clean electronic claims billed to Medicare can pay within 14 days, but paper claims will not be paid for at least 29 days. Not all claims are clean, though, and many result in denials. If you don't track information about your claim denials, it's almost impossible to improve your billing process. Tracking claim denials by reason codes lets you see where your office is making similar mistakes repeatedly. If you're seeing many denials for no benefits, for example, you may need to revamp your insurance verification or patient onboarding procedures. Numerous denials for timely filing could mean your billing department needs some help, and the overturn of payments due to insufficient records could point to a problem with your medical records process. Review claims denials at last monthly to identify areas for improvement. You must pay attention to compliance errors, because a simple mistake could bring down your entire practice. Compliance errors can include procedural errors, omission of information, or inappropriate revelation of confidential data. Billing for incorrect units, charges, or diagnosis could also be a regulatory error, even if it was an innocent mistake. Keeping a list of compliance errors and any action you take to correct the error and retrain staff helps to show positive intent and a willingness to comply should your practice ever fall under regulatory audit. Finally, without a list of satisfied patients, you wouldn't have to worry about charges, billing, and compliance. Stay in touch with general feelings about your office through patient communication and surveys. EHR solutions and patient portals make it easy to solicit feedback about a patient's experience in your office. You're busy, and the last thing any healthcare provider needs is more paperwork. 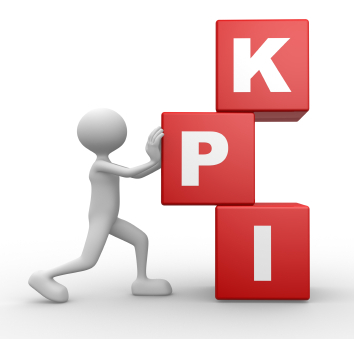 However, if you don't pay attention to essential KPIs, you could be surprised by sudden financial troubles or downturns in your practice. For more information about how electronic health records and medical billing solutions can make your practice more efficient and help you track and manage key performance areas, contact Revenue XL today.